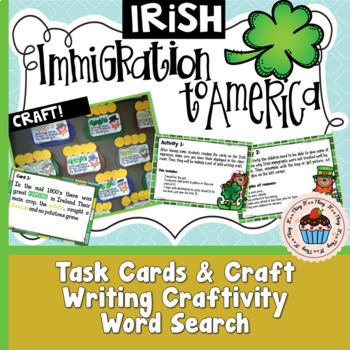 Irish Immigration to America with Crafts - No Prep! 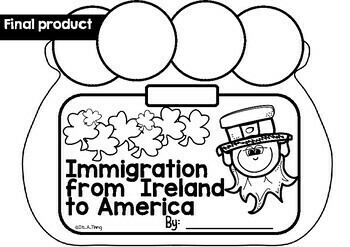 This product is great when studying Irish Immigration to America. It includes 3 different activities easy to use and kid friendly. My classroom enjoyed acting out the cards and specially the “pot of gold” craft! 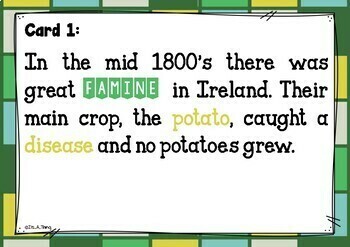 6 cards with information on Irish motivation to migrate; contributions and traditions brought to America, as well as discrimination. 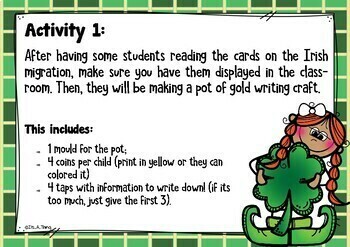 Craft 1 - Pot of gold with writing prompts related with the cards – 4 flaps. 3 cards with instructions for the teacher on how to use these 3 activities. Writing Craftivity on why they were not treated well.